Being a K-drama fan means that you'll never run out of new shows to watch, but it also means that we often have to watch our fave stars come and go quickly! Here are some famous faces that we haven't seen on our screens in a long time and the projects that are headed your way very soon. Since charming audiences in 2016's Goblin and Train to Busan, Gong Yoo has mostly stayed away from the spotlight. Thankfully, he has two confirmed movie projects on the way: Seo Bok, an action-thriller about the world's first human clone who goes on the run; and Kim Ji Young, Born 1982, which tackles everyday sexism in Korea's patriarchal society. No official release dates have been announced, but you can always expect interesting projects as long as Gong Yoo is involved. It's been a while since we've seen Lee Jong Suk of W, Pinocchio, and While You Were Sleeping fame. He's slated to star in Hymn of Death, a historical three-part series that centers on the heartbreaking love story between Korea's first soprano Yun Sim Deok, and a genius playwright named Kim Woo Jin. The best part? You won't have to wait too long for his comeback because Hymn of Death will start streaming on Netflix on December 14.
tvN's latest drama, Encounter, brings together two familiar faces we haven't seen in a while: Park Bo Gum and Song Hye Kyo! Partly filmed on location in scenic Cuba, the romance drama revolves around Hye Ko's character, Soo Hyun, a politician's daughter trapped in her high-profile lifestyle; and Bo Gum's character, Jin Hyuk, a free-spirited man living a much simpler life. After missing from TV for almost two years, long-time actress Park Shin Hye is finally back on the small screen with an epic love story set in beautiful Spain! Memories of the Alhambra centers on Yoo Jin Woo (Hyun Bin), a CEO of an investment firm who checks into a hostel owned by Shin Hye's character, Jung Hee Joo. The twist? They suddenly get entangled in a mysterious incident. The intriguing new drama will stream on Netflix this December 1. Like his reel-to-real love Song Hye Kyo, Song Joong Ki is also slated to return to TV very soon with his own exciting project. The Chronicles of Asadal is reported to be a fantasy period series set in Asadal, the first Korean kingdom said to have been founded by a king with mystical roots. 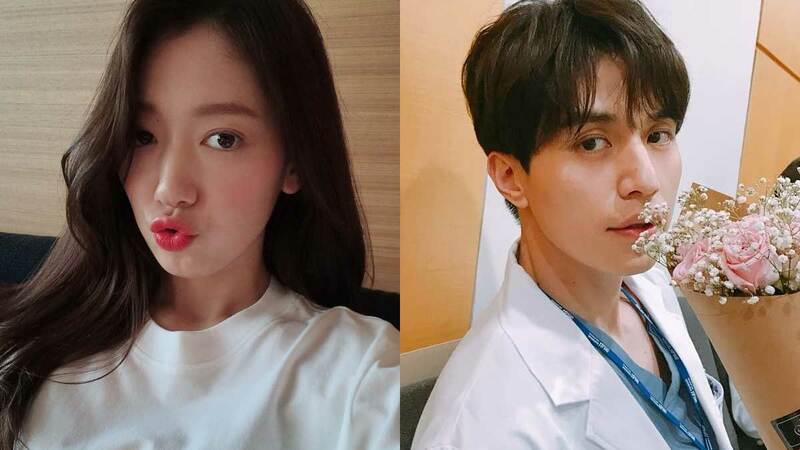 The series also features an exciting cast that includes Fight For My Way's Kim Ji Won and Suits' Jang Dong Gun. Okay, so it hasn't been that long since we last saw Lee Dong Wook on our screens, but hear us out! His 2019 series, Touch Your Heart, will reunite him with his on-screen love from Goblin, Yoo In Na. The latter plays a popular yet terrible actress determined to land the lead role for a famous screenwriter's upcoming series. In the hopes of getting experience for the role, she tries to get a job as a secretary for an arrogant lawyer (Dong Wook). We've grown to love Bae Suzy in her romantic dramas, but her next confirmed role will definitely show her versatility as an actress. Entitled Vagabond, she will play a national security agent and skilled spy; starring alongside her is Lee Seung Gi, a man swept in national intrigue after he's a witness to his nephew's controversial murder.